A Cornish restaurant chain has won the National Burger Award at the first Casual Dining Magazine’s competition. 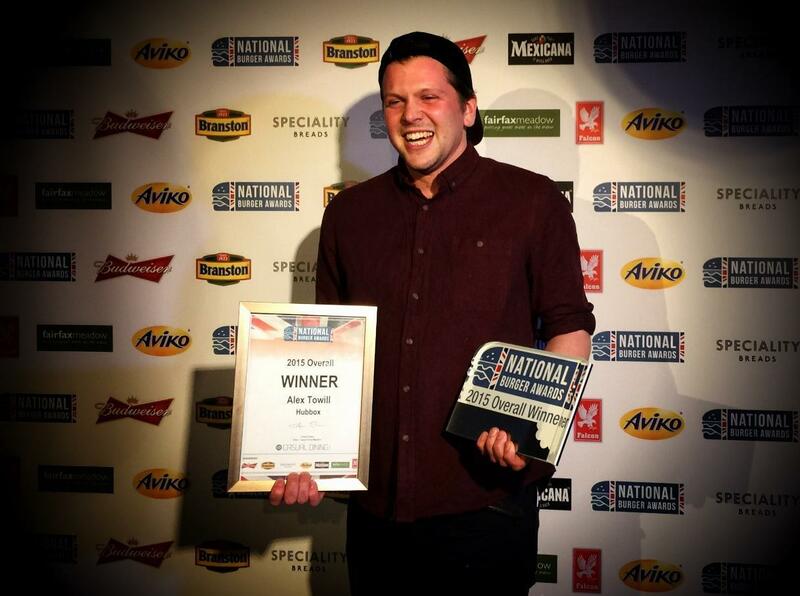 Alex Towill, executive chef and co-director of Hubbox, collected the overall award for Hubbox’s signature burger, The Big Kahuna. A two 4oz burger with barbecue sauce, pulled pork, swiss cheese and two onion rings served in the Truro and Exeter restaurants. 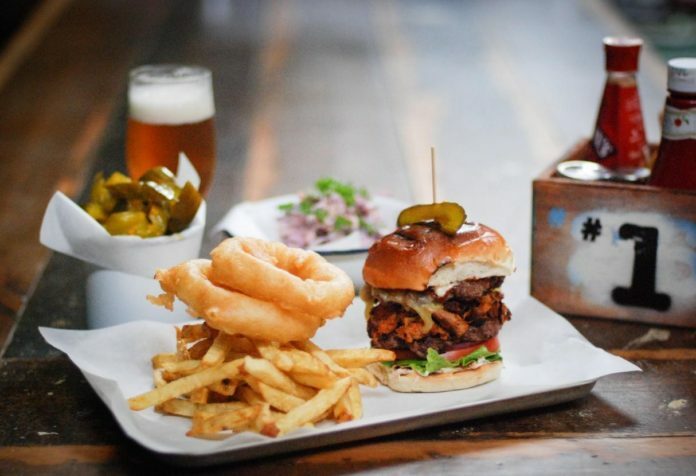 “Our goal is to make Hubbox the number one name in burgers, hot dogs and craft beers in the south west,” said Towill. The Big Kahuna was shortlisted amongst the best 16 burgers in the country earlier this month alongside burgers from independent companies like Wild Game Co., Grillstock Smokehouse and Bare Grills, as well as nationwide chains such as TGI Fridays, Las Iguanas and the Handmade Burger Co.